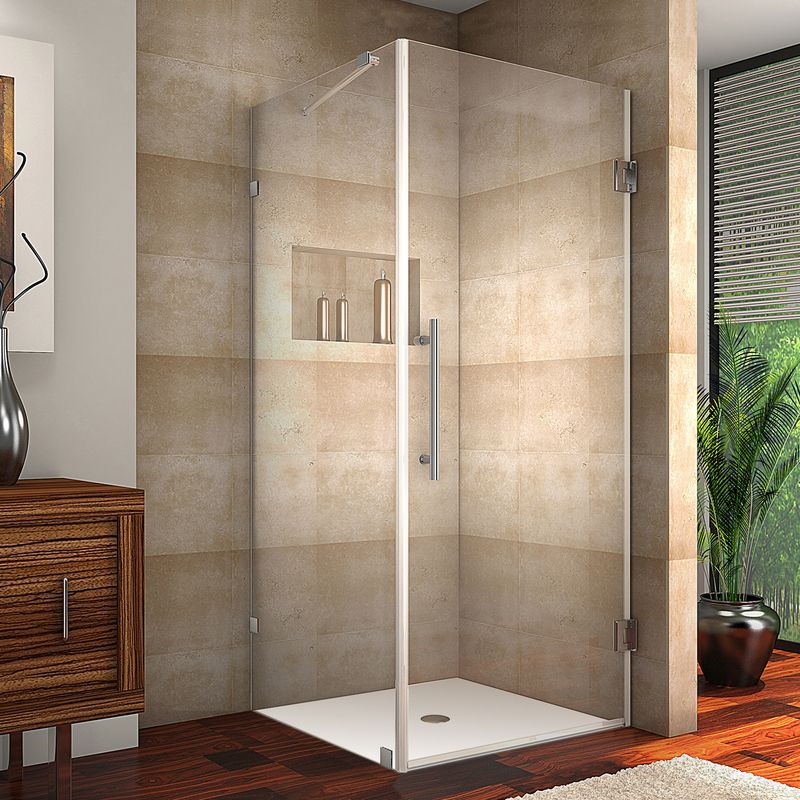 Give your bathroom a refreshed and modern look with the Aquadica completely frameless square enclosure. Available in a number of width/depth dimensions - from 30" to 38" - the Aquadica easily fits into your corner allotment. All models feature 10mm ANSI-certified clear tempered glass, stainless steel or chrome finish hardware, premium leak-seal clear strips and its entry hinge swinging door is engineered for reversible left or right hand installation. 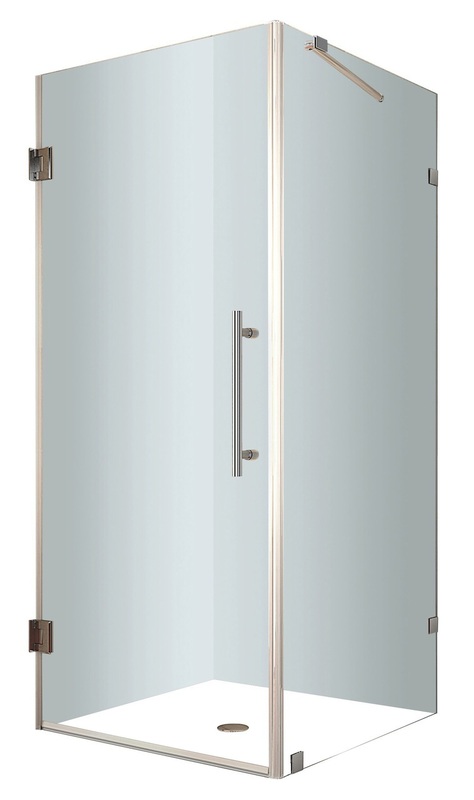 Model Features: Completely Frameless Square Pivot Door Shower Enclosure Reversibly Engineered for Left or Right Handed Door Installation Premium Clear 10mm Tempered Safety Glass - ANSI Z97.1 Certified Chrome or Stainless Steel Finish Hardware Full-Length Clear Seals Included to Prevent Leakage. Base Not Included for this model.